The Zuidam Special No. 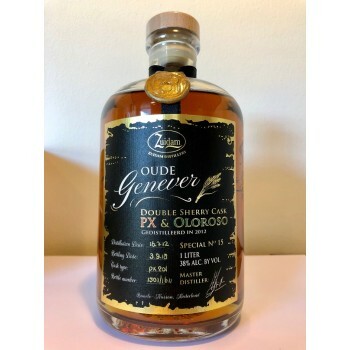 15 Oude Genever Double Sherry Cask is a 6 year old genever from the Dutch Zuidam Distillers. It was distilled on the 16th of July 2012 and matured in both a PX and Oloroso sherry cask. This genever was bottled on the 3rd of September 2018 at 38% ABV in a 1 liter bottle.